Can I go to drug rehab instead of jail? 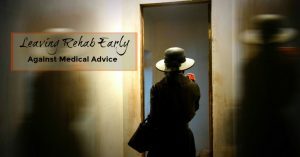 Can You Leave Rehab Whenever You Want? It can be days, weeks, months, or years from the time you notice your loved one has an addiction problem. It can take even longer to get them to check into a drug or alcohol treatment center . The day finally comes and your loved one is checked into drug rehab. Your hopes are high. It’s such a relief. But, after all that anguish, you get a call from the treatment center and are told that your loved one is leaving rehab early. What does “early” mean? Typically, it’s leaving anytime under 30 days, although that depends on certain factors. Leaving treatment early is checking out of rehab AMA (against medical advice). Now keep in mind rehab is not jail and anyone can walk out of rehab at any time they wish. 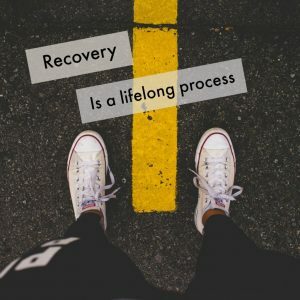 This article is for the loved ones of people in treatment to potentially warn loved ones of the common methods and reasons addicts give their loved ones to get “permission to leave rehab”. When I say permission it is because in many cases the loved ones of a person in treatment have some leverage over the person in treatment. Sometimes leverage is emotional, legal, financial, living situation and the list goes on in many cases. I may not know your loved one but as someone with over 25 years fighting addiction, I understand alcohol, substance addiction, and treatment. People leave inpatient addiction treatment Against Medical Advice “AMA” for a variety of reasons mostly all bad reasons. Day one or two is a common time for a person seeking treatment to want to leave. This is when it sinks in “I’m being separated from the love of my life”. You see the best friend of your loved one is drugs and alcohol. What’s going on in their head is that “I can’t live for another day without my companion”. This is when they realize they’re saying goodbye to their solution to every problem … forever. AMA – This is when someone wants to leave treatment out of fear of getting clean and or sober. For those who make it past the day one or two fear, the next most dangerous time goes to people withdrawing from opiates, benzos and other drugs. These folks want to leave treatment between 48 and 72 hours. This is when the withdrawal period starts and the physical and mental craving becomes so severe the addicted person wants to give up. This happens even with a medicated detox process. However, an experienced detox facility can usually walk the client through this process successfully. Leaving rehab against medical advice (AMA) is considered high-risk behavior. Usually, to escape rehab in the first three days, addicts will use tactics of promising this or that. They will beg, plead, and threaten. They will agree to follow your rules. The excuse list goes on ad infinitum. Where it gets really dicey is when addicts want to leave treatment in days 7-14. If the person wants to leave during this time frame, It’s normally one of two reasons. It’s either because they believe they are cured or they want to use drugs or alcohol again right now. People don’t usually make it into treatment when things are going well. Once separated from the addict’s substance of choice reality steps in and all the balls they have been juggling come crashing down. Fear that all their secrets and lies will be exposed while they are locked away in treatment creates panic. If it isn’t secrets and lies, it is just their reality sinking in. It’s either a problem with loved ones, finances, legal, and employer, no employer the list can go on and on. So what does the person in addiction treatment do when they get to this point? Some, dig into the rehab process and use all the tools available and succeed. Others try to get a “Get out of Rehab Free Card” from their loved ones. I can tell you what they don’t do — they do not call their loved ones and say “I want and need to use drugs or alcohol again”. They resort to old behavior which I call the three C’s “Con, Confuse and Conquer”. Abusing drugs and or alcohol is a full-time job. It takes a lot of time, work and money to support a drug or alcohol addiction. From days 7-14 are where the wild stories start to fly. The facility is unsanitary (drug using is so safe and clean), there are dead bugs in the food, the staff hates me and are they mean, my roommate is an ex-murderer, the place smells, everyone in here is using drugs, the night security guard made a pass at me … these are just a few of the most commonly used lies. If you get a call from your loved one wanting to leave drug treatment AMA because of some problem at the rehab center, instead of believing them without investigation, I suggest you take a deep breath then respond with this. You have been in treatment for (7-14) days so certainly you can make it 12-24 more hours. I will find you another treatment center to go to so you can finish your treatment. Boom! There it is a solution other than falling into a trap that kills people in need of addiction treatment. Responding with a 12 -24-hour solution gives time for you to do some research. It also is the time needed for your loved ones overwhelming urge to use to pass. This is where you contact the placement agent, interventionist or your contact at the treatment center and find out what really is going on. Nine times out of ten the person in treatment will calm down in 12-24 hours. One time out of ten you will need to find a new center. If your loved one won’t wait 12-24 hours after being in treatment for 7-14 days than they are leaving treatment to use drugs or alcohol guaranteed. Leaving treatment at 7-14 days is where opiate and other drug addicts overdose and die and alcoholics go on the bender of all benders. This is when opiate and other drug addicts commonly overdose and die and alcoholics go on the bender of all benders. Prior to going to treatment, the substance abuser has built up their tolerance for their substance(s) of choice. They have years of practice and knowledge of the amount they need to get the feeling they crave. Now for the first time in a long time, their body has no drugs or alcohol in it. In some cases, substance abusers go back to the exact amount they used before and overdose and die. In other cases, they guess how much they can now use safely and miss the mark and die. Never believe the promise “I will come home and then go back to treatment” it doesn’t happen. Now it’s time for you to plead, bargain, threaten and or negotiate with your loved one. 12 to 24 hours is all you are asking for. Pull out every tool in your toolbox to convince your loved one not to leave treatment for 12-24 hours while you investigate and find them a solution. This is crucial because I have yet to see a substance abuser leave treatment at this time and actually go home and then back into treatment. They should have been in treatment a long time ago so don’t be conned, confused and conquered by the disease of addiction. “I am cured” I have it all figured out. To the average person, the “I am cured” reason for leaving rehab seems like not a big deal. To me, this is just as risky as the person that swears they are being mistreated and wants to leave. The person claiming they are being mistreated that won’t wait 12-24 hours to leave treatment isn’t lying to themselves they are lying to you. They know darn well they are planning to use. Whereas the person who actually believes they have it all figured out after 7-14 days is lying to themselves which can be far more dangerous. 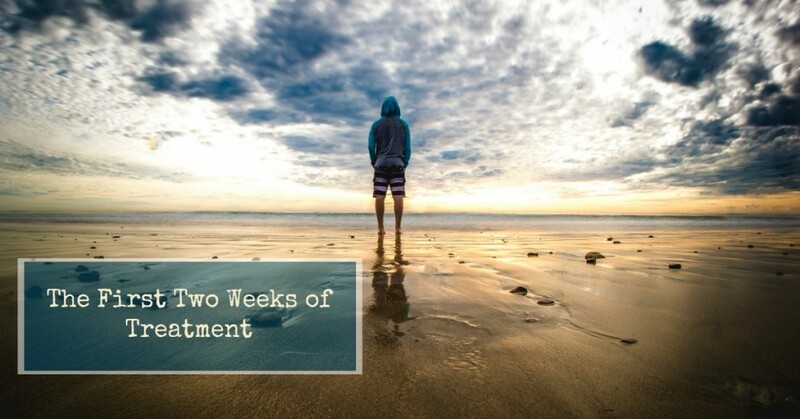 When people get help for addiction, they’re committing to two things: a short-term rehab process that can last anywhere from a few weeks to several months; and to long-term recovery, which begins when they re-enter life. Quite frankly I do not know how a treatment center can come up with a recovery rate success percentage. Even if they contact everyone that has been through their facility in the last 5 years there is no verification other than the person’s word what their recovery status is. Then what about the people that changed their phone number and you can’t reach them are all those stats thrown out the window? So I revert to finding facilities that have a track record that can be proven which is the average length of stay in treatment per client. Then I use 12 factors to find the best rehab for a person seeking treatment. What about the person kicked out of rehab? If someone gets kicked out of rehab they wanted it to happen. I have seen this happen before they make the “it’s horrible here call” and right after they made the call. It is imperative, when and if you get that call, you are firm that they do not leave treatment for 12-24 hours under any circumstances. If they do leave for any reason you don’t enable them in any manner. You don’t send them any money, pick them up, arrange transportation or housing, all you do is find them another treatment center. They can stay at most airports safely for 12-24 hours while you arrange to get them to another treatment center. In closing let me repeat this for the tenth time because it is worth repeating when someone wants to leave rehab against medical advice make them wait 12-24 hours so you can investigate, solve the situation and or find them another center to go to. Let’s talk about a successful treatment program. The addiction center calls to have you pick up your loved one. The pain and agony you’ve gone through during that period cannot be adequately described. Now that their drug use is behind you, it is important for you to understand what to expect when your loved one has finished treatment. Although it is a big relief when your loved one had completed treatment I would be remiss if I didn’t explain what happens now is a life-long process. Maintenance of sobriety is critical. Your loved one most likely has an after-care program. Do yourself a favor and participate in all of the family group activities that are suggested. You will be rewarded with a sense of freedom. You can be healed and live a happy life! Do you have a question for the author? Simply submit your information in the chat box on the bottom right of the page. You’ll get a direct call back within a day. Bruce Berman personally has assisted several hundred people into treatment for alcohol, substance abuse, and dual diagnosis. He has maintained continuous recovery from various addictions since September 1989. Besides himself, he has placed his own children, employees, family members, friends and other loved ones into various treatment programs. Whether you are struggling with addiction or a loved one is most likely the author has dealt with a similar situation in the past. Bruce is a father of four children ages 9 to 31 and happily married to his wife Victoria who has also been in recovery since November 1995. Together Bruce and Victoria run 800 Recovery Hub a company that specializes in placing people in need of treatment into the best treatment center they can. Bruce Berman is not a medical doctor, holds no degrees or licensees in addiction and has no formal education in treating addiction. He relies solely on his personal experience gained in attending and participating in over 10,000 hours in various 12 step meetings since 1989 as well as the experience he has working with addicts and their families since 1989. Do you have a question about leaving rehab early or anything else? is a registered trademark of 800 Recovery Hub, LLC. All other trademarks are registered trademarks of their respective owners.